The international automotive supplier Brose is demonstrating its expertise in front seat structures at the IAA 2013. The mechatronics specialist has set the benchmark for intelligent lightweight design for a joint project between Daimler and BMW: the front seat structure is around 25 percent lighter than comparable series products. This project also highlights the supplier's global expertise in development, project management and production. "Lightweight design is one of our core objectives. We work continuously on the refinement of all individual components to perfectly attune them to each other in the overall system while striving to reduce the overall weight at the same time," explains Periklis Nassios, Executive Vice President Seat Systems. Brose's developers have risen to this challenge and managed to significantly lower the weight of the front seat structures with an intelligent combination of high-strength steel, plastic and the use of efficient motors. During development, the engineers came up with 30 inventions;Brose has submitted patent applications for about two-thirds of them.One example is the electric seat tilt adjuster, where the majority of the metal parts have been replaced by plastic parts.In addition to reducing the component weight to 300 grams, making it 50 percent lighter than the previous model, Brose was also able to cut costs by 20 percent. Thanks to the use of high-strength steel, the company managed to reduce the wall thickness of seat side members from currently 2.2 to 1.3 millimeters, which saves about 30 percent of weight. The complete front seat structure weighs less than 15 kilograms and is 25 percent lighter than rival series products. 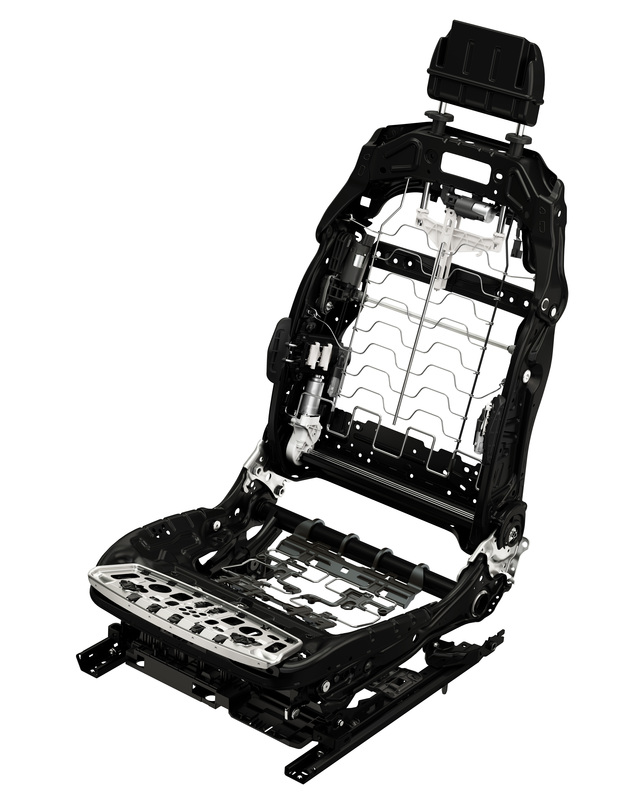 Brose developed the lightweight seat structure as a modular concept, providing maximum flexibility for the two carmakers to install it in different vehicle models. Although it is a joint platform, the supplier provides individually adapted solutions to meet each customer's requirements. Numerous adjustment options ensure maximum safety and comfort: the base variant is a semi powered seat offering a manual length adjuster and powered seat height, backrest and headrest adjuster. The most elaborate seat of the platform – the 16-way multifunctional seat – is fully powered and provides the additional option of individually adjusting the seat cushion extension, seat tilt, backrest bolsters and backrest articulation. Moreover, the supplier also offers sensor-controlled headrests, adjustable side bolsters of the lower seat structure and electromechanical multi-way lumbar adjusters with optional massage function. Preproduction, component production and final assembly of the seat structures take place at eight of the supplier's locations, each in close proximity to the customers' sites. Thus, the contract ensures high production utilization rates for the supplier and creates 600 new jobs worldwide. In addition, an interdisciplinary team consisting of experienced employees from development, purchasing, production and sales has been set up to provide support during the ramp-up in the regions. "A platform project of this size requires a skilled team on site to ensure that the same high quality standards are met worldwide," explains Nassios.